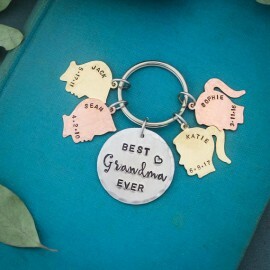 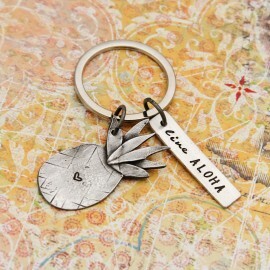 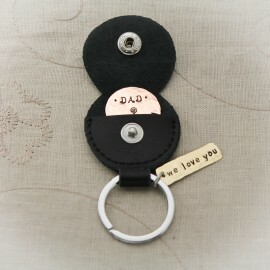 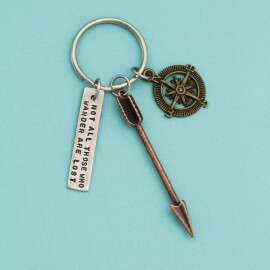 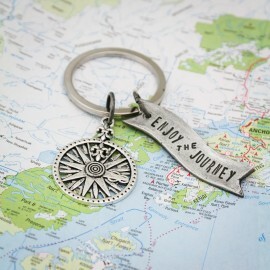 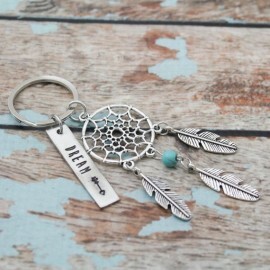 Commemorate your favorite place, first kiss, engagement location, wedding place, or vacation spot with this key chain. 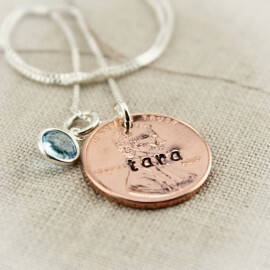 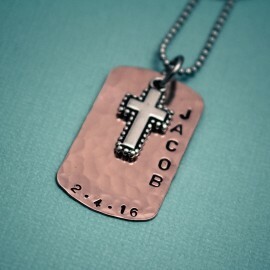 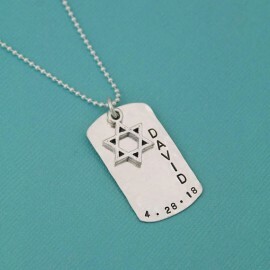 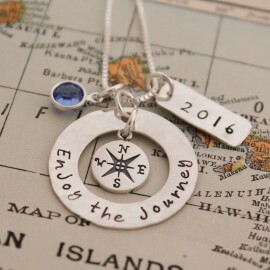 Your latitude and longitude of your place hand stamped on a nickel silver, copper or brass rectangle. 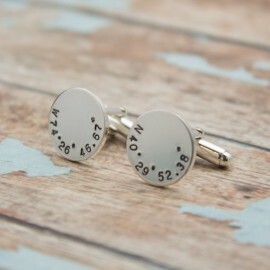 Just provide an address or place and I will figure out the degrees, minutes and seconds of your location. 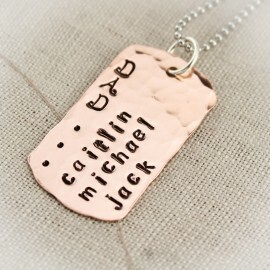 Rectangle is 2-1/2 inches long by 1 inch wide in choice of nickel silver, copper or brass. 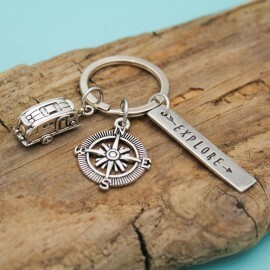 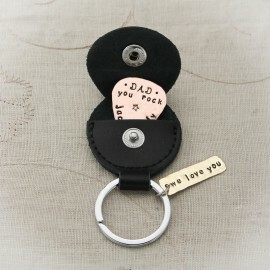 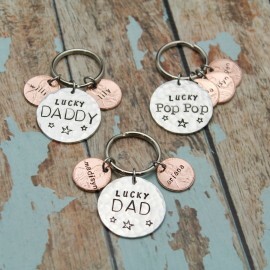 Attached to a stainless steel key ring.